There's no better way to give your skin an instant boost than with a good sheet mask! These wonderful Korean inventions just seem to keep getting more & more popular with different skincare brands coming out with new ones all the time. We're spoilt for choice these days & with so many masks to try, a lot of people I know have started sheet masking daily. 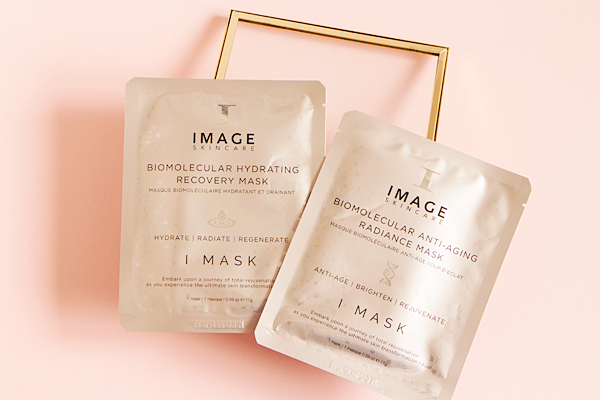 I mainly use masks that are made out of fabric or pulp as they tend to be more affordable so I was very excited to try out these new I Masks from Image Skincare. These super luxurious hydrogel masks were designed by a plastic surgeon & have been made by thickening essence into a gel format. There are two masks available in the range - the Biomolecular Hydrating Recovery Mask & the Biomolecular Anti-Aging Radiance Mask. They're definitely an upgrade from your regular sheet masks & this is reflected in the price. Both masks cost £9 each & although they are on the pricey side for a single-use sheet mask, their unique hydrogel technology is well worth trying. The masks are designed to trap moisture which increases the delivery of active ingredients into the skin, allowing them to penetrate deeper. The amount of beneficial ingredients packed into these masks is really quite remarkable. They've been infused with water from real Japanese hot springs as well as Jeju volcanic oxygen water for intense hydration like you've never experienced before. In fact tests have shown that these I Masks provide the skin with a 40% increase in moisture 30 minutes after removal of the sheet mask. With that in mind I couldn't wait to treat my skin with these luxury hydrating sheet masks! The first mask I tried was the Biomolecular Hydrating Recovery Mask*. I briefly mentioned the insane amount of goodness that this mask provides. I don't think I've ever come across a sheet mask with such an extensive list of skin-friendly ingredients before! It features all sorts of botanicals, peptides & antioxidants for the ultimate skin rejuvenation. Some key ingredients include: niacinamide, aloe vera, hyaluronic acid, resveratrol, ginseng, witch hazel, chamomile extract, green tea extract, arginine, squalane & allantoin. The majority of these have brightening, hydrating or anti-inflammatory effects. This ultra-hydrating sheet mask is suitable for all skin types but would be particularly good for those with dry, dehydrated or sensitive skin. It's also targeted towards people who get clinical skin treatments or chemical peels as they can leave your skin feeling a bit parched. I've grown very fond of The Ordinary's AHA 30% + BHA 2% Peeling Solution lately so I figured the best time to try this mask out would be directly after doing my weekly at-home skin peel. When I took the mask out of the pack it was dripping with essence. It feels quite slippy & can be fiddly to unfold as the gel sticks together. You have to drape the gel side of the mask over your face before peeling off & discarding the fabric side. The fit isn't perfect but it's very rare to find a sheet mask that completely fits every part of your face. I had to slide up the mouth area quite a bit to make it fully comfortable but once applied it stays put & you can walk around without it sliding off. I always prefer to have a little lie down when I'm sheet masking though. The mask has a bit of a herbal scent & the high levels of hyaluronic acid makes the texture of the essence feel slightly sticky. It feels very cooling & refreshing on the skin. This feeling continues long after taking the mask off. You're supposed to leave this mask on for about 25 minutes & then gently massage any remaining essence into the skin once you've discarded the gel sheet. I always follow up my sheet masks with some moisturiser to really lock in all that hydration. I was very impressed with the results. My skin looked really plumped up & lifted. It felt incredibly well hydrated & this mask was a fantastic way of getting some moisture back into my skin after such an intense treatment. 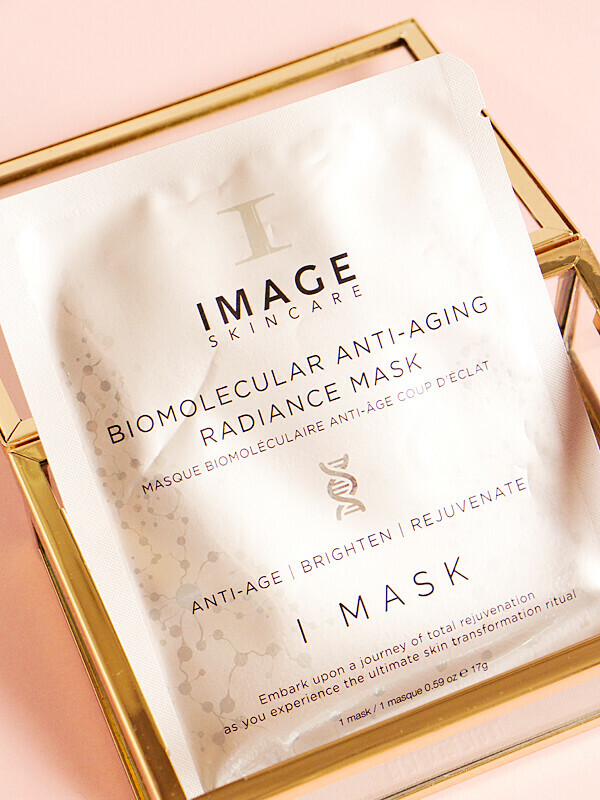 As much as I enjoyed using the other mask, my favourite of the two has to be the Biomolecular Anti-Aging Radiance Mask*. 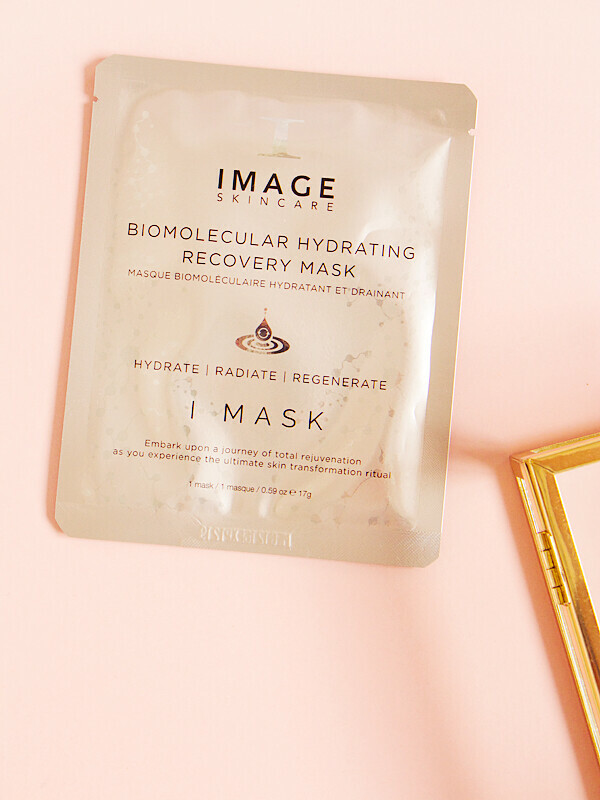 Alongside all the wonderful moisturising benefits of the Biomolecular Hydrating Recovery Mask, this sheet mask also gives your skin a beautiful radiant glow. The essence of this mask has a much silkier texture & I found that it smells a lot nicer than the other one. It has a light sweet floral scent that kinda reminded me of Turkish Delight. Again this mask is suitable for all skin types but is specially designed to tackle the signs of ageing such as fine lines & wrinkles. It also targets dull, tired looking skin with hyperpigmentation or an uneven complexion. Some of the key ingredients in this mask are: willow bark extract, white mulberry root bark extract, daisy flower extract, licorice root extract, niacinamide, ginseng, allantoin, aloe vera, hyaluronic acid, arbutin, arginine, squalane & hexapeptide-8. Many of these ingredients are also featured in the Hydrating Mask but the Radiance Mask has a lot more brightening ingredients & things that help with redness or pigmentation. The application process is exactly the same as the other one but after taking this mask off I was completely amazed by the difference in my skin. It positively glowed! My complexion looked incredibly bright & even with hardly any redness. The Radiance Mask really helps to calm down your skin & would be perfect to use before a special event. I personally found the plumping effect to be even more noticeable with this mask. My skin looked so hydrated that even the appearance of texture was diminished. It was left feeling so bouncy, smooth & supple, I just wanted to touch my face all day! I didn't notice a huge difference in the appearance of my post-blemish scarring but that might be something that comes with continued usage. I'd definitely recommend this one if you have a dull or uneven complexion. 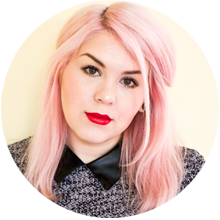 You can see a huge difference after just one use & I'm a big fan of what it's done for my skin. I really love the effect that these masks have on my skin, especially the Biomolecular Anti-Aging Radiance Mask. I like to use sheet masks quite often, at least three times a week, so I don't know if I would be willing to spend £9 per mask. If the price is something that also concerns you, here's a quick life pro tip for getting the most out of your sheet masks! Most masks can only be used once but if you feel the sachet, there should be tons of leftover essence still inside. 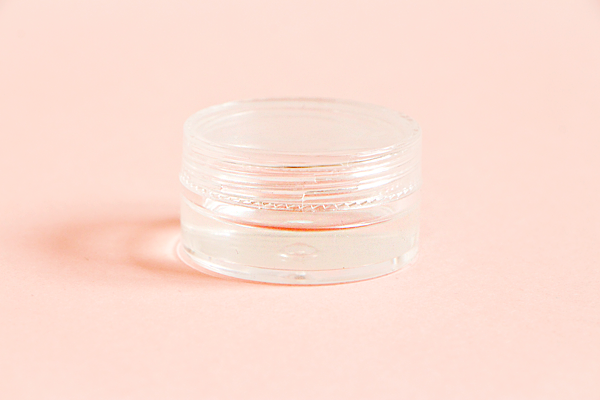 Simply decant the excess liquid into a small pot (I got this one in a travel set from Primark for £1) & you can continue to use the essence in your everyday skincare routine. It'll only last a few days but that's better than just using the mask once. That way you can get a better impression of the mask's effects & reap the benefits of a sheet mask long after you've chucked it in the bin. It also makes the cost of these particular masks a lot more reasonable!